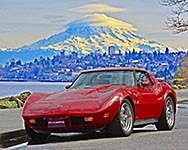 C3 Corvette Forum - That was Fast!!! 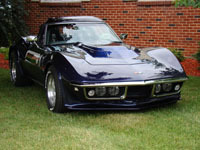 C3 Corvette Forum › C1 - C2 - C7 Corvettes (NEW) › C-7 General & Tech (NEW) › That was Fast!!! so GM is to stop taking orders for the 2018 Corvette in November meaning a very short Production run for the 2018 Model year, I do not know if they will offer a 65th Anniversary edition or a commemorative edition (if this is the last year of the C-7) rumors are that the C-8 will finally get the mid engine platform so often promised, rumored but never seeing fruition. there is talk of ALL C-8's being the mid-engine design with a couple of variables for power-plants from mild to wild. AND, that they are considering offering a "base" model with a target price of around 65K if the 2018 model marks the end of the C-7 it will match the shortest series run in this car's long and storied history. 5 years for the C-2 (1963-67) and 5 years for the C-7's (2014-18) I'm curious to see what happens here because it would not make sense from a corporate standpoint to tool up for two distinct platforms (front engine rear wheel drive and/or mid-engine) for a car with such a "limited" output in production to begin with and, it will be interesting to see if the Corvette survives to see it's 70th Birthday in 5 more model years. time will tell for sure. It has really grown on my bride an myself. We've thought several times of getting one but alas other priorities take first seat. Time for a C8 and complete remake, it is finally time to do a mid-engine one. Gotta keep up with Ford. I just hope they make it easy to work on. I've seen a few mid engine cars close up & they all were a PIA. Chevrolet in November trotted out a 2019 ZR-1 front engine rear wheel drive C-7 and my take on that is they are going to use both production lines again in Bowling Green back when I visited (in 2003) Cadillac produced the XLR on one side of the Bowling Green Plant while the Corvette was produced on the other, since they suspended tours and stopped taking orders for the 2018 model in November leads you to surmise that they are re-tooling for a new model and, probably build (continue C-7 including ZR-1's) on one side and the new C-8 mid engine on the other this is only my speculation but seeing how that plant at one time produced two distinct models it's not a stretch of the imagination and, Alan, given the dimensions of the Corvette and the chassis layout/geometry a trans-versed mounted V-8 would be "shoehorned" in the space behind the cabin making it not easy to work on at all.